The Artesano Nature collection offers the perfect combination of natural colours and handcrafted finishes. With its three colour effects in soft shades of blue, green or beige, Villeroy & Boch's new collection invites nature onto the table - and coordinates perfectly with the natural living trend. 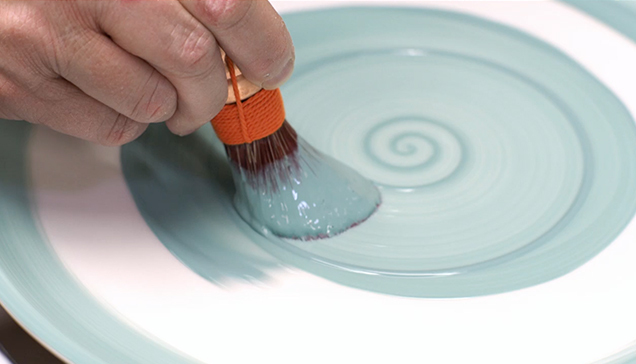 All of the products in the Artesano Nature collection are hand-painted, making each item a one-off. The attractive handcrafted decor adds an authentic and natural touch to your table. Sprigs of herbs and fresh flowers are essential features on your table: simply place on a wooden table to create a modern and authentic table decoration. Your guests will love it! Artesano Nature is ideal for serving fresh Mediterranean ingredients: present vegetables and meat from the barbecue, spiced up with some fresh herbs and a dash of fleur de sel. Followed by fruit from the garden for dessert. Good and tasty food doesn't need to be complicated! The perfect recipe for a meal with friends or family.